MIKE MILLETT is a certified safety and security professional with a wide range of operational experience. His knowledge is based upon real world operations in any number or type environments that include: Africa, the Middle East, North, South, and Central America, Europe, and Asia. 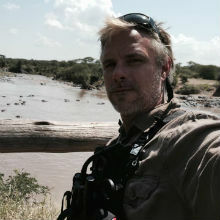 Mike has served as Professional Instructor (Risk Management/Austere Environment/Personal and Travel Safety), President and Director of multiple companies, a Senior Crisis and Security Consultant (Television Production/Business/High Net Worth families), a Special Operations Team Leader and as a Protective Security Detail Team Lead. Mike’s responsibilities have included leadership development, planning, and execution of strategic projects across a wide cross section of industries. These include Fortune rated companies, government sector and on-location production safety/security coordination for multiple television shows. This has been achieved via thorough contingency planning and communication,emergency liaison planning, and a keen understanding of project requirements. He has successfully demonstrated the ability to implement bespoke multi faceted plans without interrupting project timelines or the strategic goals of the stakeholder team. Mike employs scalable solutions and training, relationship management, and a respectful laid back approach to facilitate the success of the overall project. His experience is demonstrated in it’s execution. Mike served in the U.S. Army 75th Ranger Regiment and is also a Distinguished Honor Graduate of the U.S. Army Ranger School. He has served with the Army and Government agencies in Iraq and is a veteran of both Operation Enduring Freedom and Operation Iraqi Freedom. Mr. Millett is a graduate of a Department of State’s Certified High Threat Dignitary Protection course as well as an approved Department of State Protective Specialist Instructor.